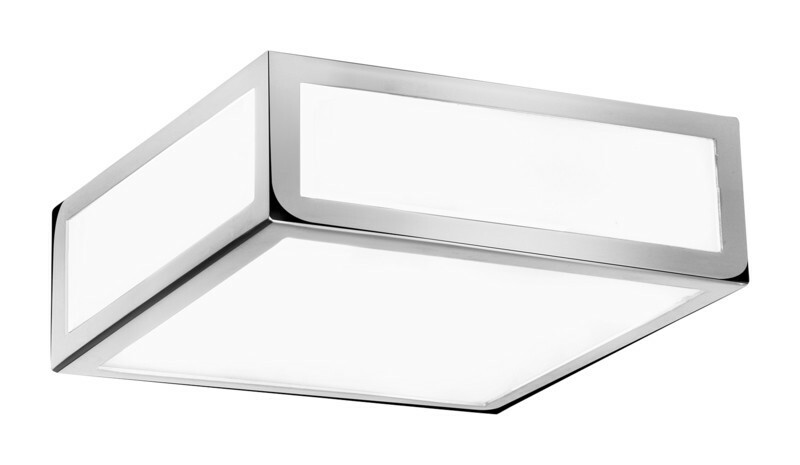 Sophisticated contemporary bathroom ceiling light that would be a perfect finishing touch to any bathroom. The elegant design features a rectangular frame with a polished chrome finish and opal glass diffuser to swathe your bathroom in a beautifully soft white light. The light is dimmable, enabling you to choose the exact amount of light to enhance your bathroom experience. This luxurious light has an IP44 rating, allowing it to be used in bathroom zones 2 and 3. However, its stylish design would not look out of place in other rooms such as living room or hallways.